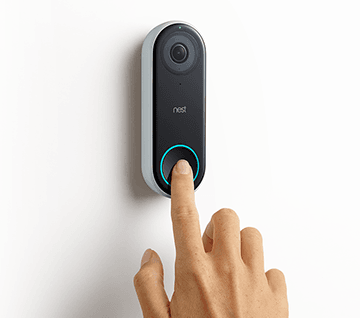 Nest – on Wednesday – announced two new products: the $229 Hello video doorbell and the $249 X Yale smart lock. Apart from the product launch, the most compelling selling point for Nest products is that they are now closely integrated into Google Assistant. So, it wouldn’t be wrong to say that the company is finally evolving into the Google-owned smart device maker. Both of the products are now available for sale on Nest’s online store. The Hello video doorbell can notify through an app when someone is at the door and also alerts all the Google speakers in the home. Hello is capable of free live-streaming, person alerts and motion detection. The camera has a vertical 4:3 ratio, allowing the owner to see the person at the door from head to toe. “Nest Hello lets you know who’s there, so you never miss a visitor or a package,” the company says. Further, the doorbell would also be capable of identifying faces from the database created in the Nest app to reveal if someone is a friend or family member standing at the front gate. For facial recognition, the user needs to have a subscription to the Nest Aware cloud recording service, which starts at $5 per month. In addition, the Hello video doorbell also comes fitted with the “quiet time” mode that works as a Do Not Disturb function for the doorbell. However, during the quiet mode, the push notifications would be available on the phone. Similarly, the X Yale smart lock can be controlled from a smartphone app, and if anyone familiar wants to get in, you can do so with the app itself, notes Engadget. Next X Yale, which is available now, has been in the making even before the doorbell. The lock was first introduced in 2015 as the Yale “Linus” lock, and now it has arrived as the smart deadbolt developed by Nest and lock maker – Yale. Just like other Yale Locks, this lock also does away with the old deadbolt and related external hardware. There is a keypad to enter the PIN code and the lock itself is powered by four AA batteries. There is no keyhole in the Nest X Yale lock, but it would send notifications when the batteries are running low, notes CNET. The smart home device maker also introduced the Temperature Sensor. The sensor works with the Thermostat to allow users to manage the temperature in each room. The sensor costs $39 for a single unit, and $99 for a pack of three. Nest has come a long way since it launched its first product – the Thermostat – in 2011. In 2013 it started shipping smoke detectors. Then came the camera in 2015. However, the journey has not been without its share of struggles. In 2016, Nest CEO and co-founder Tony Fadell stepped down, and the same year Google started selling an internet connected speaker, which analyst assumed would eventually come under the Nest lineup. However, the search giant sold the speaker under their own brand name Google Home. In the first few years, the company had a very thin product portfolio of just three products along with a few updates to the already existing product. However, the company has picked up pace over the past couple of years by expanding its portfolio to eleven devices. With these products, Nest has become one of the most comprehensive smart home and home security manufacturers. Nest is also working in close collaboration with Google to integrate the Google Assistant to devices such as Nest Cam IQ Indoor. After the integration, the Cam IQ Indoor could almost work like a Google Home, Home Max Speaker or Home Mini. Nest devices coming with the Google Assistant would pitch Google more fiercely in front of rivals Alexa and Siri, and would also make Nest products more appealing to those interested in controlling their devices with simple voice commands.